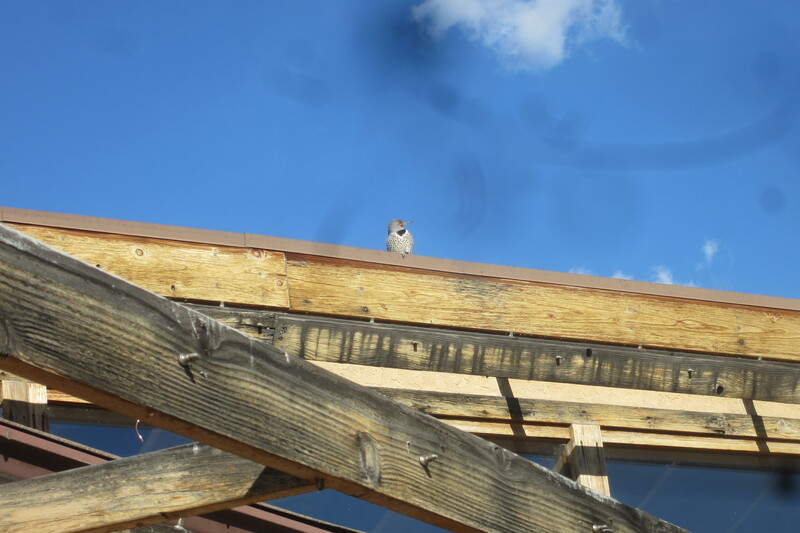 I caught a photo of the woodpecker that I am trying to encourage to go elsewhere to nest. 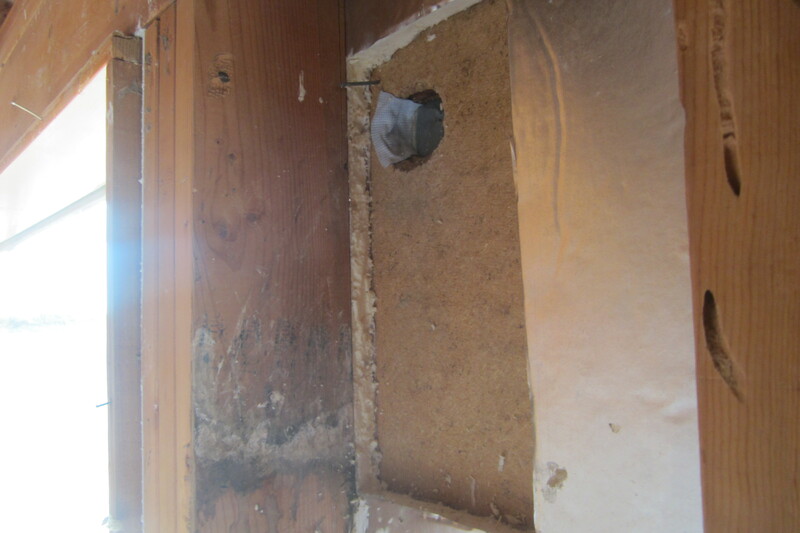 The woodpeckers pecked holes through the cedar siding, the fiberboard sheathing, the polyiso sheathing and into the fiberglass where they tore the surface foil off the insulation all the way down to their nest. What a mess. I fixed the holes with a sheet of polyiso cut to fit and a sample roll of the SIGA tape which sticks nicely to anything. 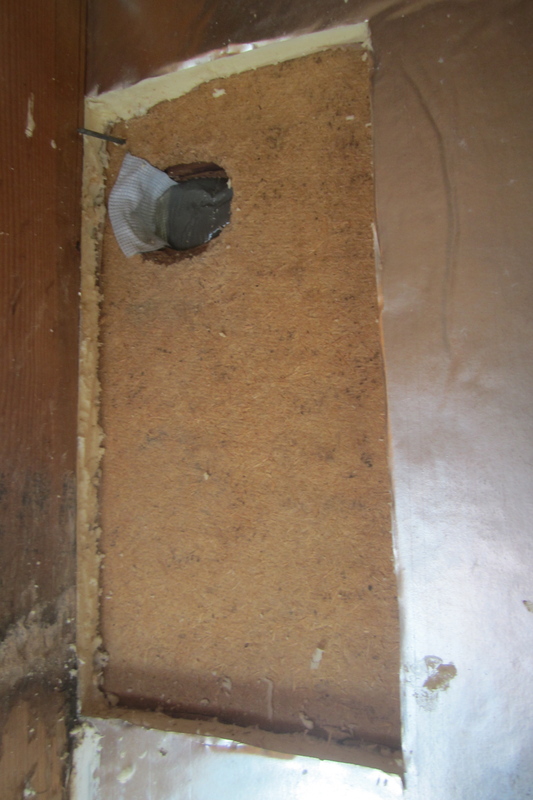 The outside was patched with Eternabond tape. I only fixed two of the holes. One is behind the brick wall so will have to be repaired from the outside and the other was not all the way through so I just patched it from outside. 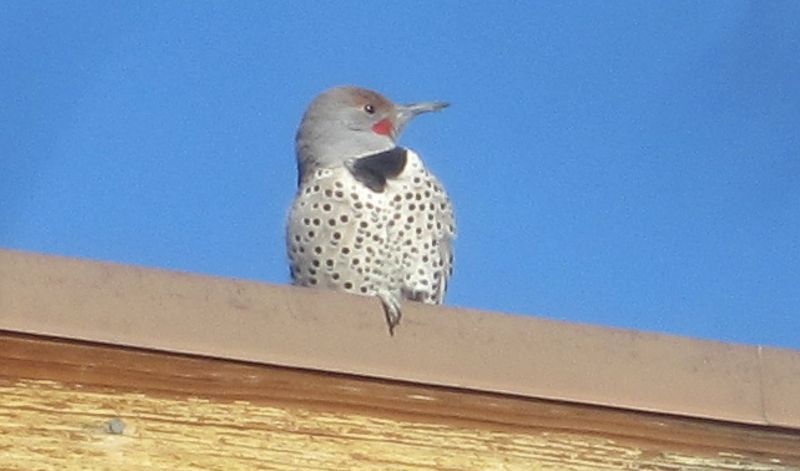 According to the Colorado State Extension agency, this bird is a Northern Flicker. 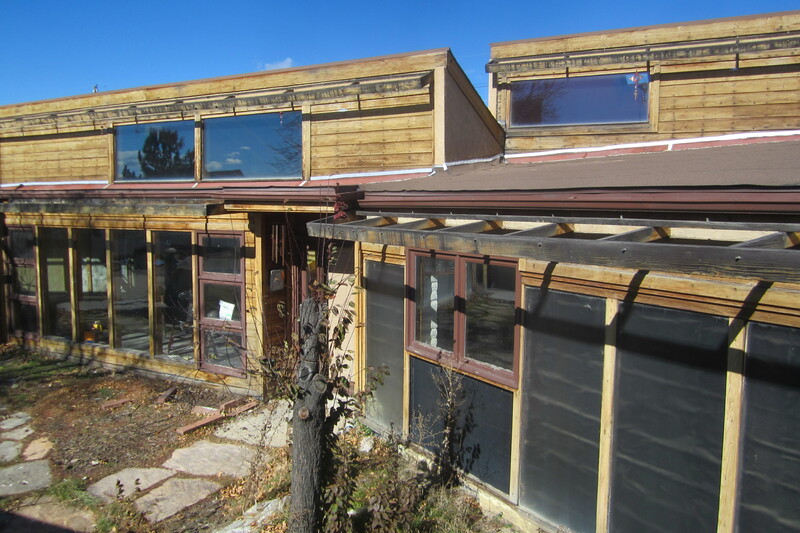 These woodpeckers MIGHT be scared away by whirlygigs and windchimes hung from the eaves. So I hung the lovely chimes that our friend Marsha gave us for a housewarming gift, and I bought several twirly things and hung them. They did not seem to scare the Flicker whose photo I took though. 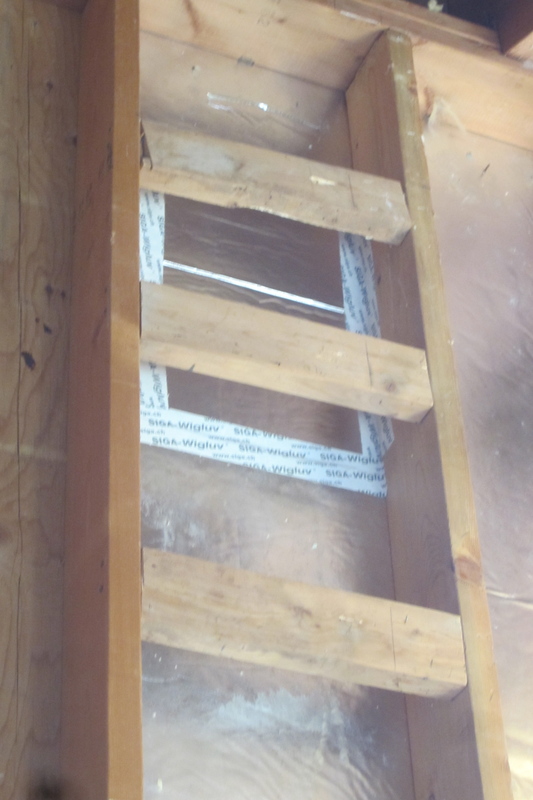 This entry was posted in Construction, Maintenance and Repair. Bookmark the permalink.